What is The Best Paint Color for The Media Room? The paint colors you choose for your next kitchen remodeling project are more important than you may think. Because your kitchen likely is the center of attention in your home, it’s important that you choose the right color palette that will not only match what’s going on in your kitchen design-wise, but also match what’s going on activity-wise. That’s why top house painters in Essex County have compiled information here about 2017’s top kitchen paint colors to help you narrow down your many choices. “The dark days are gone and the bright days are here” … the words to the famed pop song ‘Sunny’ illustrate well why bright and sunny paint colors are a top trend for 2017’s kitchens. We’re all looking for more sun and happiness in our lives, so why not start with the room you’ll spend more time in than any in the morning? 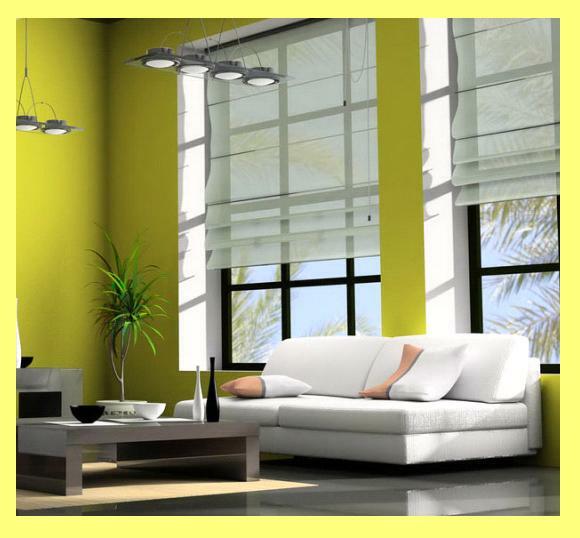 Yellows are a huge kitchen paint color trend this year, but not just any yellow shades or hues. This year’s yellows will find kitchens at either end of the color spectrum–either muted yellow hues that feel breezy and romantic, or bold, bright sunny shades that spark inner inspiration and confidence. Not everyone is a ‘sunny shade’ type of person. 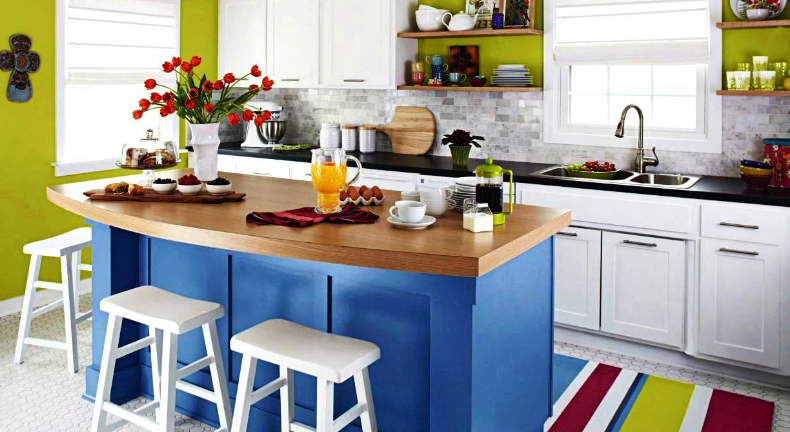 In fact, some folks like a ‘kind of hush’ when it comes to their kitchen color schemes. If you’re one of them, you might be looking for more muted tones that will help you ease into the day with a little more relaxed peace and quiet. If so, one of 2017’s biggest paint color trends for every room of the house especially the kitchen is the inspiration of serenity. The idea here is the softer version of just about any color of the rainbow, but at a more muted level that’s easy to take in. For instance, subdued grays are enormous this year for kitchens, whether they’re used on all four walls, just one or two walls, or even just on accents or cabinets. Soft blues are another big trend, expected to move beyond 2017, in fact. Icy blues that are both easy on the eyes and subdued to the senses are topping the year’s most beautiful, elegant, and chic color palettes for kitchen living spaces. HGTV’s 2017 dreamhouse is a perfect example of this hot trend for this year–pulling rich woodsy colors that exist in the surrounding landscape into the kitchen for a passionate infusion of the outdoors within the security of your home. Rustic is a huge trend for kitchen design trends this year, and paint colors are at the top of the list for it. But the trend isn’t about just any old nature; it’s about taking into consideration your home’s natural surroundings when designing the perfect color scheme that will work best for your kitchen’s living space. Greens of all natural hues and shades, browns that run the gamut of that which lies beyond your home, rusts that incorporate a little rustic, and even a little touch of black or gray here and there to make it authentic–these are the concepts of bringing the outdoors inside for a kitchen that’s nearly as magnificent as your New Jersey home’s landscape. And, truly, no trend for kitchen paint colors can top the magnificence of the natural world! 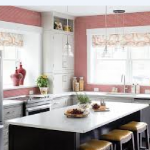 Your New Jersey home’s kitchen–it’s the heart of your household, the hub of all of the most major activity and family connections you likely will ever experience. It’s where most folks end up for family discussions and reunions, helping to create lasting bonds that will remain in your hearts forever. This is precisely why the color scheme you choose for your next kitchen remodel is so important. When you’re deciding on a color or color combinations for your kitchen walls, cabinets, chair rails, and all of its other accents, be sure to take into consideration the personalities of those living within its borders. Consider the lively activity that your kitchen sees, from the early morning breakfast on the go, to the mid-day snack gatherings, and the late evening impromptu discussions over wine and cheese. And after you’ve thought about all those important moments you’ve spent and will spend in your home’s hub, its kitchen, consult with a residential painter near you to fine-tune color combos and choose the perfect one for your New Jersey home.